The Winter Classic has become a somewhat repetitive game in the NHL over the past couple of years, with the same groups of teams seeming to be in the game year after year, but not in 2020. The NHL made several announcements at the all-star game this season, one of them being that the Dallas Stars will be hosting the Nashville Predators for the 2020 Winter Classic. It is two talented rosters that play in the same division and many people are applauding the decision, largely because neither of these two teams have played in an outdoor game before. Bettman announces the Dallas Stars will host the Nashville Predators in the Winter Classic next season at the Cotton Bowl. 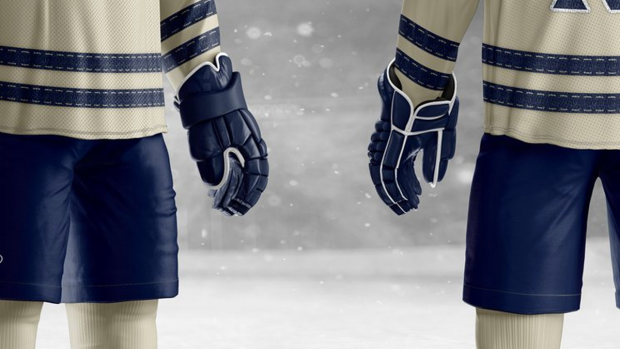 No outdoor games means no outdoor jerseys and some fans are already dreaming up some concepts. Both teams have had some pretty sharp jerseys in their short existence, so we’re excited to see what they come up with for the Winter Classic. The hockey isn’t always the best on that ice, but we’re always happy to see a new jersey. Even though the Blackhawks and Bruins have already had several versions, we still enjoyed their jerseys this year.